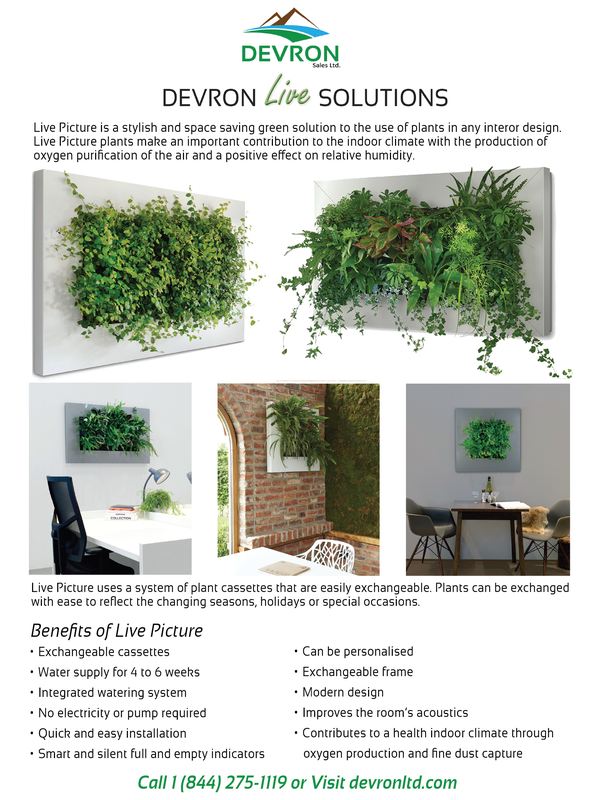 Live Picture 3 is a stylish and space saving green solution that makes use of plants in any interior design. 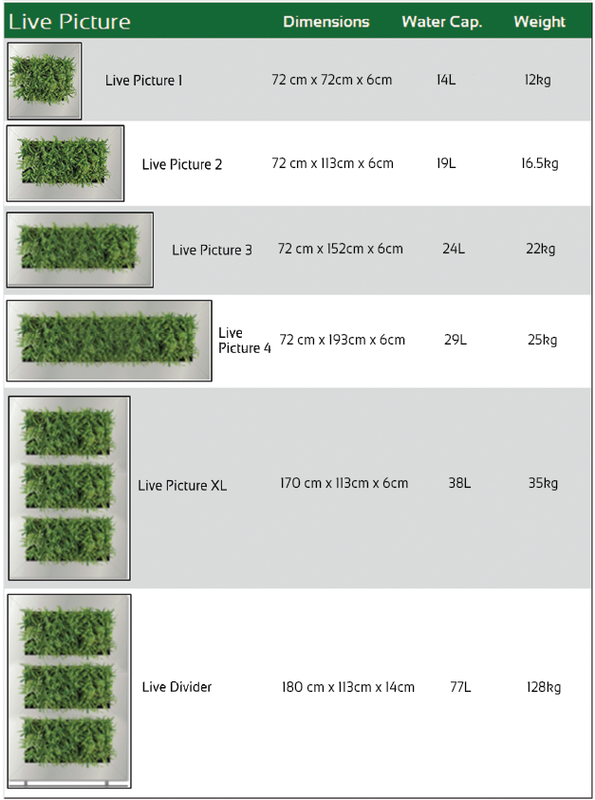 Live Picture 3 uses a system of plant cassettes that are easily exchangeable. Plants can be exchanged with ease to reflect the changing season, holidays or special occasions.